Or a fruit perhaps. On the "animal/vegetable/mineral" scale he was designated a "vegetable." "E.T. and his extra-terrestrial brethren are not animal or mineral but vegetable. 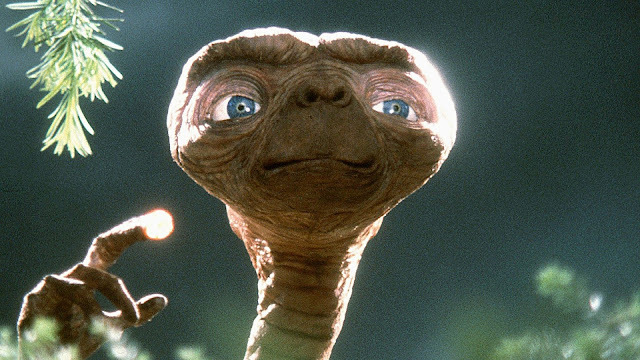 This idea of E.T. being a plant of some kind led the team designing him – headed up by the Oscar-winning Carlo Rambaldi – to create “plant-like” glowing hearts, first seen here, en masse." Lots of other tidbits about the movie here, but I heard this fact on No Such Thing As A Fish. Bees are endangered. Or not. Early humans didn't just "walk across Beringia"
My "elfin ear" is actually a "Darwin's point"
This $10 bill looks funny.